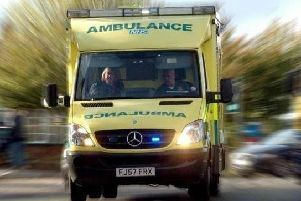 Emergency services were called to the northbound carriageway north of junction 11 at around 4pm. The far left lane of the northbound carriageway was shut while firefighters deal with the blaze, causing delays for motorists. Drivers warned others on Twitter to avoid the area, with photos showing a car covered in smoke. The fire was soon put out and the lane was reopened.